My name is Declan and I’m from Lavey in Co. Cavan. I’m 47 years of age – husband to Louise and dad to 2 year old Dara and 10 week old twins – Declan and Lauren. My story is somewhat unreal to me still as I’m living through a daily rollercoaster of emotions. In March of this year, I felt an excruciating pain in my back. I visited my doctor who in turn sent me for a scan. I thought nothing of it but the look on the face of the radiologist told me a different story. I was diagnosed with stage 4 abdominal cancer. At a meeting with a consultant in a Dublin hospital (where I thought we would discuss my treatment options) I was told there was no treatment available to me and palliative care was all that was on offer. I also received the blow that I would be very lucky to see Christmas. With my wife heavily pregnant with our twins, accepting this wasn’t really a viable option for me. I had watched my mother die from cancer, progressively getting weaker and this wasn’t something I could envisage putting my wife and young family through. Extended family in Florida encouraged me to get a second opinion over there and very kindly offered to fund the initial stages to see if there was anything that could be done. Doctors there were much more optimistic as there are treatments available there that are not currently available in Ireland. I commenced an aggressive chemotherapy regime there on the 5th of April with a view to shrinking the tumour before surgery. The medical team are so confident of a positive outcome that they recommended me for an immunotherapy sponsorship programme onto which I was accepted and started at the end of May. On 26th June I had a full body scan and doctors confirmed the tumour has shrunk enough to carry out surgery. Through the kindness of family and friends I have been financially and emotionally supported to receive the treatment I need so far. As I’ve been based in America since April, I have missed the birth of our beautiful twins but I’m focussing on the bigger picture. I’m missing out on these first months as I want to be around as all 3 of our children grow up - go to those football games , hold them when the tears come, be there for their birthdays, first day at school and hopefully, see them get married. This is where I need your help, my operation/subsequent treatment will commence mid August and costs are in excess of $250,000. I’ve reached out to everyone possible in terms of family and friends and while they have supported me fully within each of their means – its just not enough and I am now desperately seeking your help. The wait is over. I have got a date for surgery – Thursday 16th August. The very minimum the operation will cost is $262,000 – if all goes to plan. Thanks to the generosity of each and every one of you who made a donation on Go Fund Me, combined with additional fundraising efforts of friends and family I am in a position to go ahead with it. Please spare a thought for me next Thursday and pray that it does all go to plan as costs can spiral upward very easily if the situation changes once surgery commences. But I’m staying positive that everything will go to plan. Thanks once again for giving me and my family this opportunity. Words can’t express my gratitude and I’ll let you know how I got on when I’m up and about after the op. 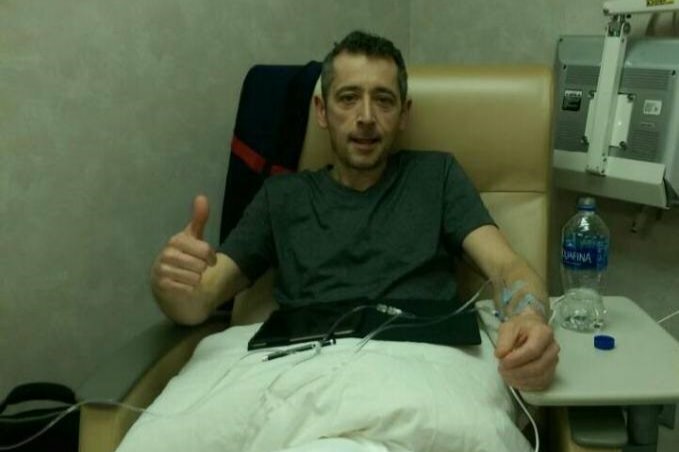 Declan returns to the the USA next week to continue his treatment. In this video he gives us an update about his own story and explains why he needs your support. 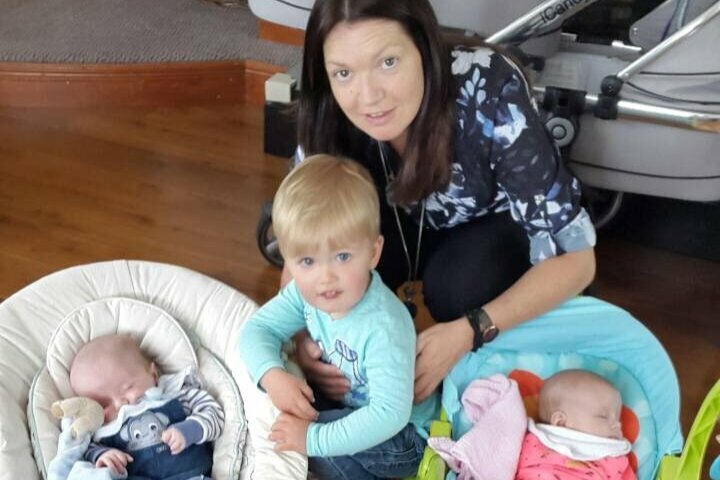 Declan lives in Lavey, Co. Cavan with his wife Louise, son Dara (2) and twins Lauren and Declan (13 weeks old).